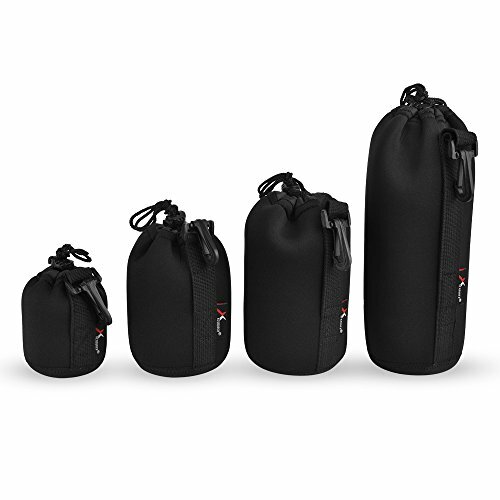 About Caden DSLR Camera Lens Pouch This lightweight lens case is designed to keep your DSLR Lens protected and safe. 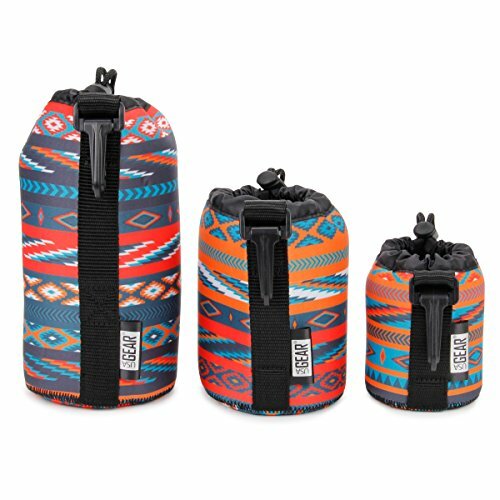 Practical design, sturdy and portable, can take care of your precious lenses better, definitely your best choice of lens pouch. 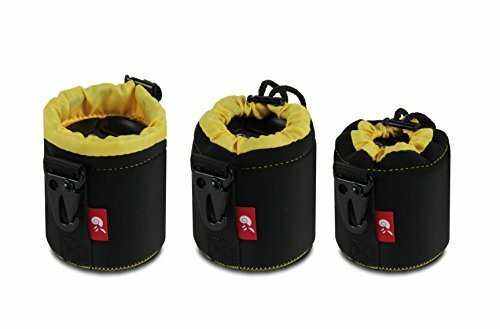 Features: - Extreme weather resistant. - very soft and elastic. 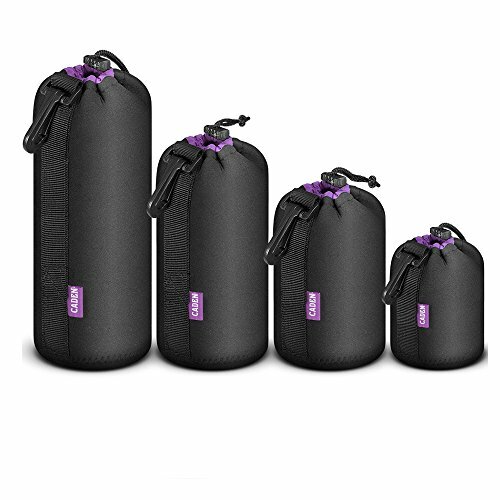 - Lightweight and easily stored. 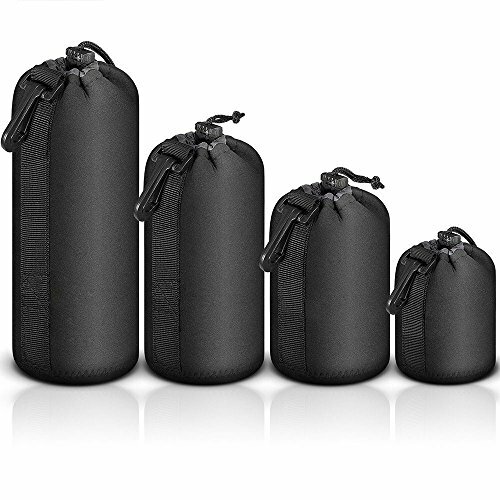 - Easy to carry and place. 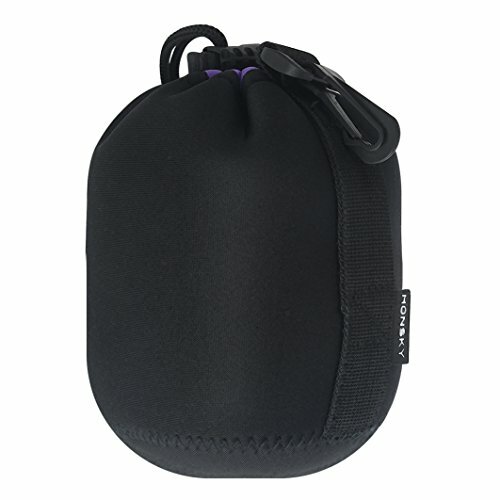 Brand: Honsky Name: Honsky Protective Camera Lens Pouch Minimum investment, maximum protection * Protect your expensive lens from bump, scratches or moisture, dust in daily use WHY CHOOSE US? 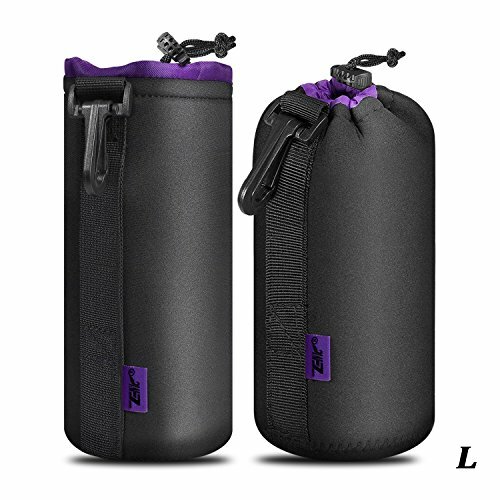 * Premium water-repellent neoprene and soft liner plush * Great tailor stitching * Durable quality * Dual-attachment design (a belt loop & swivel clip) * Dual Protection from bump, scratches, or moisture, dirty Compatibility: With lenses from Canon, Nikon, Olympus, Fuji, Pentax, Panasonic, Sony, Leica, Sigma, Tamron, Vivitar, Minolta, Mamiya, Yashica,,Kodak, Konica, Hasselblad, Ricoh, Zeiss & Lensbaby. 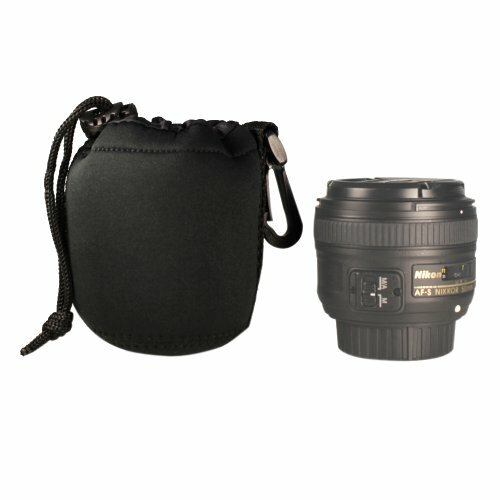 100% Satisfaction Guarantee * Backed up with Honsky 90 days No-Hassle Free Replacement/ Refund * 24 hours on line customer service Package Include 1* Honsky Protective Camera Lens case Note Camera lens is not included.